Seemingly invincible, but showing signs of some frailty when bombarded with ideas from the young generation of players. Could he yet again stamp his authority on the chess world, and snuff out the hopes of another young pretender? Calm and modest away from the board, but renowned for his sharp, lightning-fast chess. Could the young Indian topple the giant? Whoever was to win, the match was destined to provide a feast of attacking chess, with battles of a unique intensity and quality. 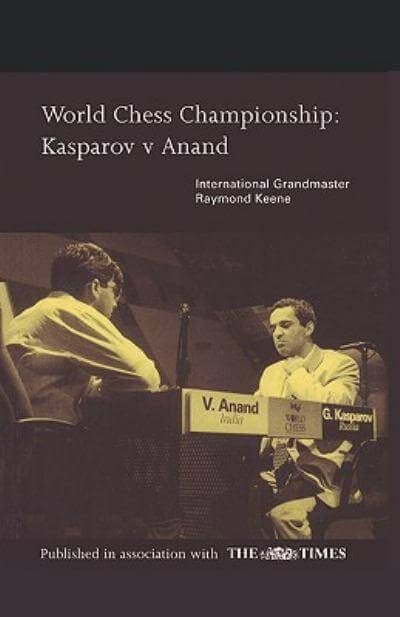 Raymond Keene is an International Grandmaster and former British Champion, who has played top board for England in the Chess Olympics. He is chess correspondent for The Times and The Spectator and is a regular presenter of chess on television. He has written over ninety chess books and was awarded an OBE for services to chess in 1985.